This study will hopefully give the reader an overview of the Messiah's proper Hebrew Name. This is not the final authority on the subject, as I believe when Ha Mashiach returns all of the conflict over spelling and meanings of the Set-Apart Names will be corrected. We at PraisesforYahweh.org do not condemn or degrade those who use either spellings of the Messiah's Name. The most contentious of arguments seems to be whether the name of our Savior is Yahshua (Yahushua/Yahoshua) or Yeshua. Some modern day scholars have sided with the name Yeshua, and some scholars from the early part of the 1900's believe the name is Yahshua or Yahoshua or something close to those spellings. Some modern day scholars have called the name Yahshua a "Made-Up" or contrived name based on their interpretation of Hebrew. The name Jesus obviously has no place in the Hebrew language, that is a proven fact. 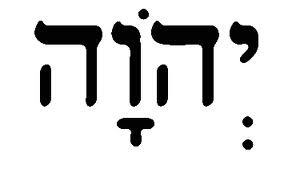 There is no letter J in Hebrew nor the sound of J in Hebrew. The name Jesus is a mistranslation of the Greek word Iesous. What does Strong's Concordance, one of the most widely used works, explaining Hebrew pronunciation and meanings, in the world state on the subject? I have made visual excerpts from the Strong's Concordance so we can see exactly what is being translated by its Hebrew and Greek Strong's numbers. The first graphic shows the Savior's Name in its mistranslation with a Greek number from Strong's next to it. I have used the KJV with Strong's numbers for this study to show the viewer the errors in translation and the version works well with Strong's numbers. Please excuse the use of "ghost" for the ruach as I want to keep the KJV and Strong's numbers exactly as they appear. can also mean "Yahweh's Salvation", or the "Salvation of Yah." You see, most of the evidence for the pronouncing of Jesus' name hinges on the parallel to its Hebrew counter-part H3091. see the Israelite scribes using names of people, places, months, that differ from the original translations in the first five books. Jehoshua/Joshua. As we know that the "Je" is incorrect as in "Jehovah" because the translators were using the vowel points for Adonai which appear above and below some Hebrew letters as a form of pronunciation pointers. These vowel points (in this case) were meant to remind readers of the text to not say the Sacred Name of YHWH and use the title Adonai instead. It was believed by pious Jews that the Sacred Name of Yahweh was not to be pronounced outside of the Temple or Synagogue. "The term tetragrammaton (from Greek τετραγράμματον, meaning "four letters") refers to the Hebrew theonym (Hebrew: יהוה‎)transliterated to the Latin letters YHWH. It is derived from a verb that means "to be", and is considered in Judaism to be a proper name of the God of Israel as indicated in the Hebrew Bible. As Jews are forbidden to say or write the Tetragrammaton in full, when reading the Torah, they use the term Adonai. Christians do not have any prohibitions on vocalizing the Tetragrammaton; in most Christian translations of the Bible, "LORD" is used in place of the Tetragrammaton after the Hebrew Adonai, and is written with small capitals (or in all caps) to distinguish it from other words translated "Lord". The original consonantal text of the Hebrew Bible was provided with vowel marks by the Masoretes to assist reading. In places where the consonants of the text to be read (the Qere) differed from the consonants of the written text (the Kethib), they wrote the Qere in the margin as a note showing what was to be read. In such a case the vowels of the Qere were written on the Kethib. For a few frequent words the marginal note was omitted: this is called Q're perpetuum. One of these frequent cases was the tetragrammaton, which according to later Jewish practices should not be pronounced, but read as "Adonai" ("My Lord"), or, if the previous or next word already was "Adonai" or "Adoni", as "Elohim" ("God"). This combination produces יְהֹוָה and יֱהֹוִה respectively, non-words that would spell "yehovah" and "yehovih" respectively. The origins for the composite term Jehovah, came from early English translators who transposed the vowels from Adonai to the Tetragrammaton, and read the word literally so that the Y in YHWH, was pronounced as a J in English, and the W as a V. Taking the spellings at face value may have been as a result of not knowing about the Q're perpetuum, thus resulting in the term "Jehovah" and its spelling variants. The Catholic Encyclopedia [1913, Vol. VIII, p. 329] states: "Jehovah (Yahweh), the proper name of God in the Old Testament." Had they known about the Q're perpetuum, the term "Jehovah" may have never come into being. Modern scholars recognize Jehovah to be "grammatically impossible" (Jewish Encyclopedia, Vol VII, p. 8). The consensus of mainstream scholarship is that "Yehowah" (or in Latin transcription "Jehovah") is a pseudo-Hebrew form which was mistakenly created when Medieval and/or Renaissance Christian scholars misunderstood this common qere perpetuum; the usual Jewish practice at the time of the Masoretes was to pronounce it as "Adonai," as is still the Jewish custom today." Like most early Semitic alphabetic writing systems, the alefbet has no vowels. People who are fluent in the language do not need vowels to read Hebrew, and most things written in Hebrew in Israel are written without vowels. However, as Hebrew literacy declined, particularly after the Romans expelled the Jews from Israel, the rabbis recognized the need for aids to pronunciation, so they developed a system of dots and dashes called nikkud (points). These dots and dashes are written above, below or inside the letter, in ways that do not alter the spacing of the line. 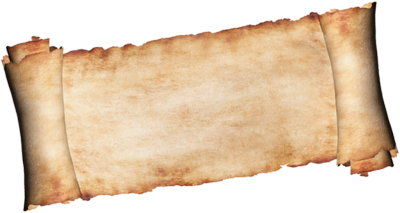 Text containing these markings is referred to as "pointed" text. Most nikkud are used to indicate vowels. Table 2 illustrates the vowel points, along with their pronunciations. Pronunciations are approximate; I have heard quite a bit of variation in vowel pronunciation. Vowel points are shown in blue. The letter Alef, shown in red, is used to illustrate the position of the points relative to the consonants. The letters shown in purple are technically consonants and would appear in unpointed texts, but they function as vowels in this context. The name of YHWH or Yahweh is written the same as the first two Hebrew letters of the Name Yahshua or Yahoshua. In other words the "Yod/yothe" and the "Heh" are the first two letters of both names (the third letter as well being a "waw" or for some modern scholars a "vav". From H3068 and H3091 they are easily viewed in the Hebrew language. Remember that Strong's Concordance uses the vowel points for Adonai to render the name "Jehovah" instead of the more proper "Yahweh." Once again, both have "Yod/Yothe" and "Heh" (as well as the "waw" or "vav") at the beginning of the words from right-to-left, the first syllable "Yah" as in Yah-weh and "Yah" as in Yah-shu-a. Many modern-day scholars will tell you that in a modern Hebrew there is no such word as Yahshua, but most have bought into the use of vowel points that introduce Adonai into words such as the Set-Apart Name, Yahweh (whom some will call Yehovah using the "Adonai" logic). We contend that the Paleo-Hebrew language nor the Pictograph Hebrew contain any vowel points. Both of these languages precede modern Hebrew by significant time spans. One irony found while doing this study is that many of those who purport the usage of Yeshua (the H3442 version), don't realize that Strong's actually has its phonetic pronunciation as "yah-shoo-ah" which is what they argue against "Yahshua"(the pronunciation is identical, or very close, to H3442 "yah-shoo-ah"). I urge you to study out this conclusion, and remember whatever is the outcome, try not to be divisive and remember when Mashiach returns He will sort out our differences.